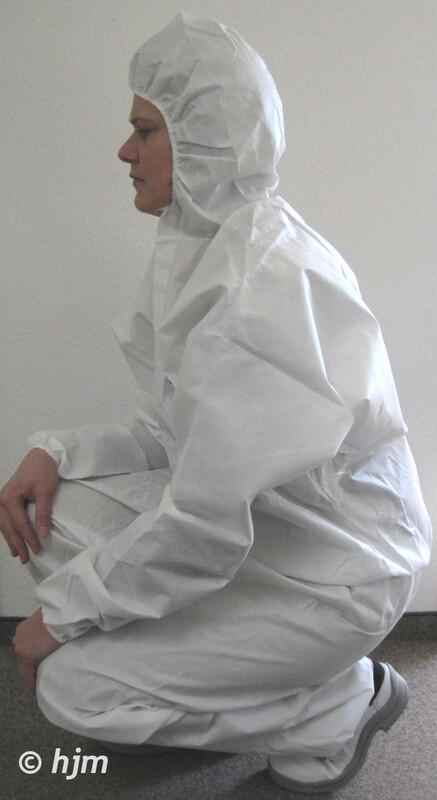 Disposable protective garments for more safety and wearing comfort in high-risk area. Provides general protection against water and chemical splashes as well as liquids and dust particles. For lab area with low risk of chemical explosion. Protection against liquid chemicals in form of aerosols, spray mists and minor splashing, if it is only low chemical risk. Disposable shoe covers / overboots with rugged Vinyl sole for more safety and wearing comfort in high-risk area. Protection against water-based liquid splashes, liquids and dust particle. General protection. Disposable hood for hygiene and comfort in low-risk area (CE class 1). EKK9671M15 Lab coat A7 M White 15 pcs. EKK9673XL15 Lab coat A7 XL White 15 pcs. EKO9687S25 Overall A50 S blue 25 pcs. EKO9689L25 Overall A50 L blue 25 pcs. EKO9691XXL25 Overall A50 XXL blue 25 pcs. EKO9681S25 Overall A50 S white 25 pcs. EKO9683L25 Overall A50 L white 25 pcs. EKO9685XXL25 Overall A50 XXL white 25 pcs.